Calculating the factorial of a number using java example program with recursion. Factorial number means multiplication of all positive integer from one to that number. Four factorial : 4!= 4*3*2*1=24. Eight factorial: 8!= 8* 7*6*5*4*3*2*1=40320. By using loops we can find factorial of given number. 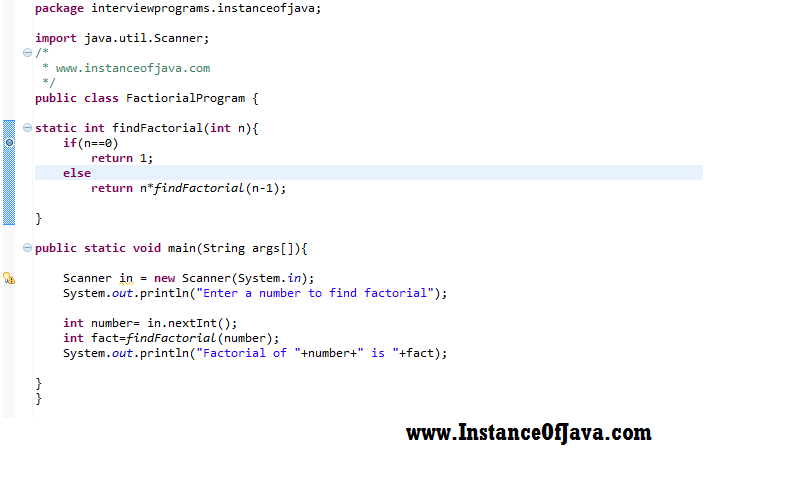 Lets how can we find factorial of a number using java program without recursion. Program #2: Java program to find factorial of a number using recursion.